Disneyland Day 2 | I am JuJu! 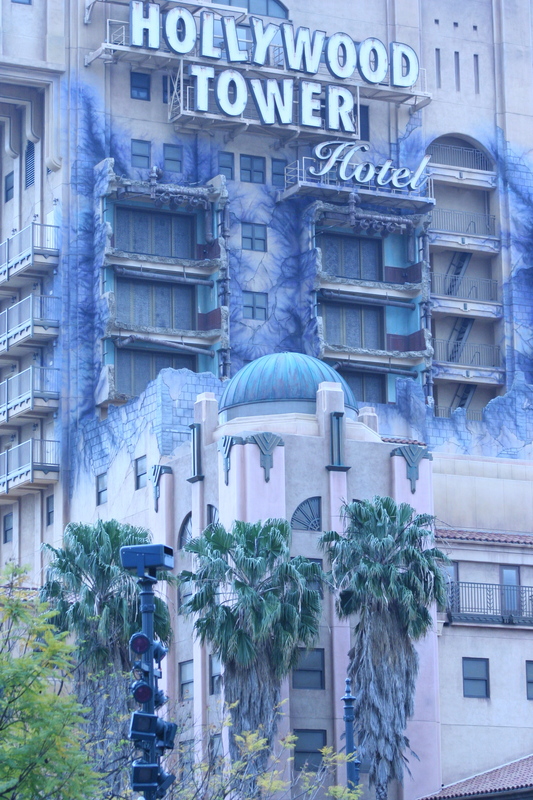 We spent Tuesday morning/afternoon at Disney’s California Adventure. There was quite a bit of construction going on, but there was still a lot to do. 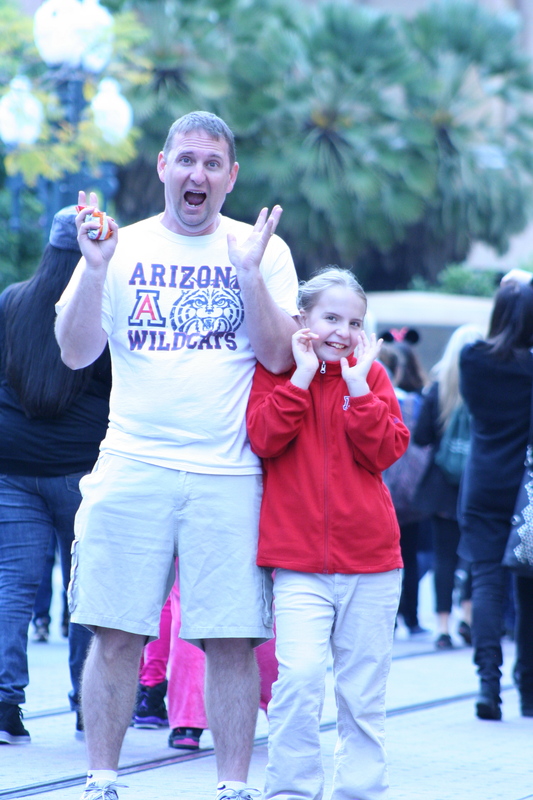 We actually split up immediately upon entering the park because Chris & Hailey wanted to ride the Tower of Terror & Skylar did NOT! She has ridden it several times in the past but has decided that she will no longer ride it. Loved this photo I snapped of them looking “terrified”! Such sillies! 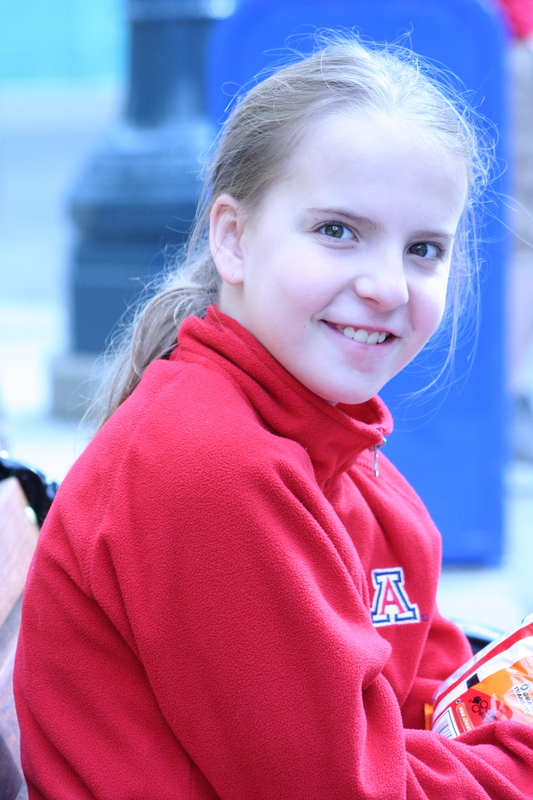 While they were riding that Skylar & I rode Soarin’ Over California…one of our faves! She squealed & laughed the entire time. 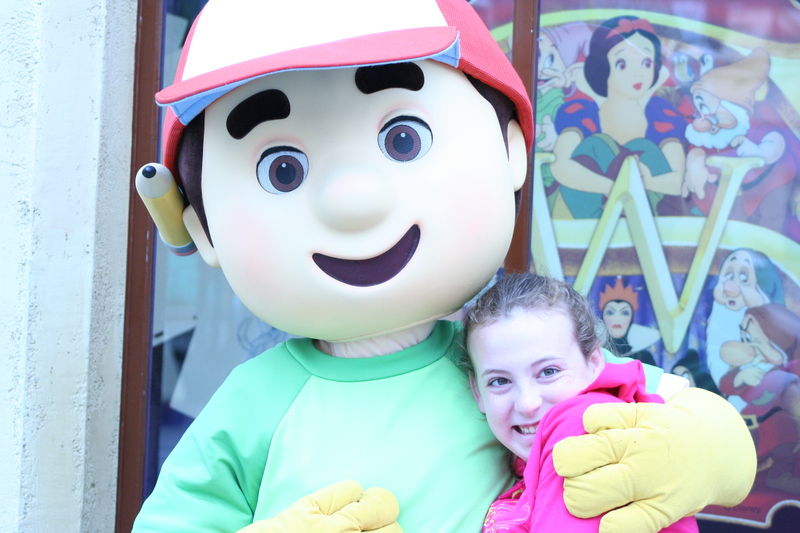 As we rounded the corner after that ride we ran smack dab into Handy Manny! Skylar loves him! She was by far the oldest kid waiting to see him, but I’ve learned not to worry about what others think. I just want her to be happy. I love the absolute joy that is radiating on her face! 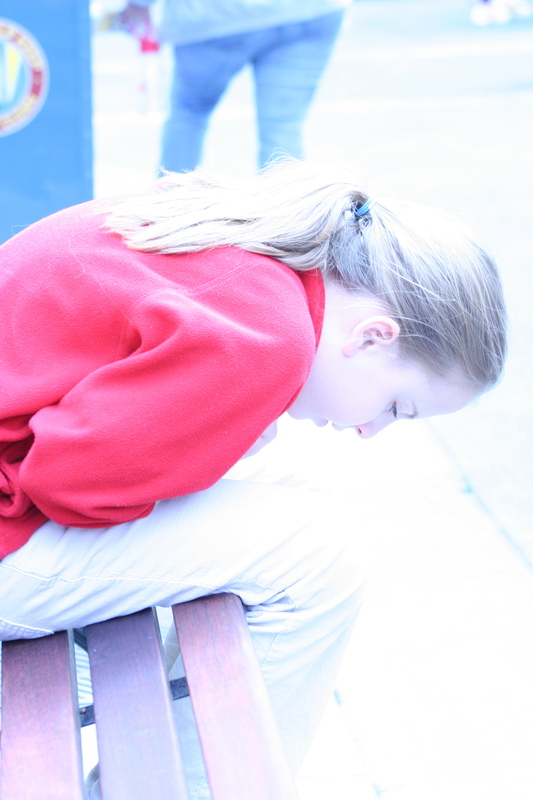 Here is a photo of Hailey curled over on a bench following her ride on the Tower of Terror. I kid you not when I say that she stayed like this for over 5 minutes. Here she is once she came out of the fetal position! 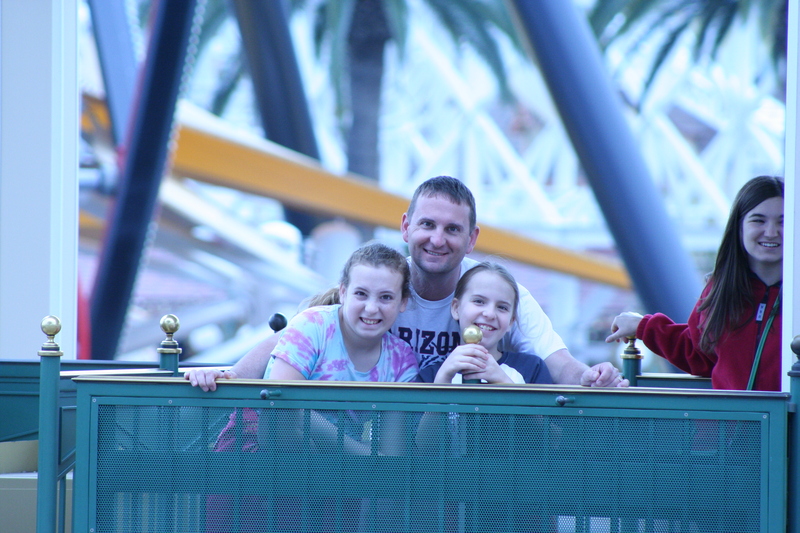 Love this shot of my 3 favorite people with the cool ferris wheel in the background. 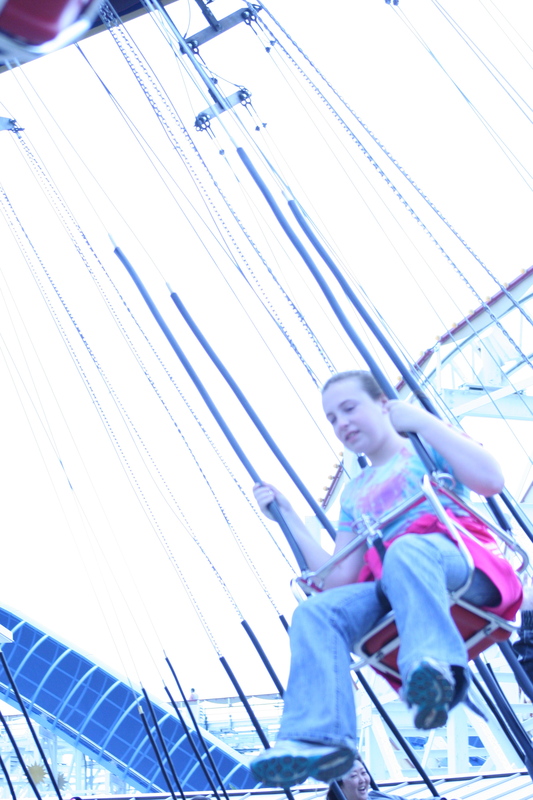 One of the rides that Skylar has talked about for days is the swings. She loves them! It is the one ride she insists on going on when we are at Navy Pier in Chicago. 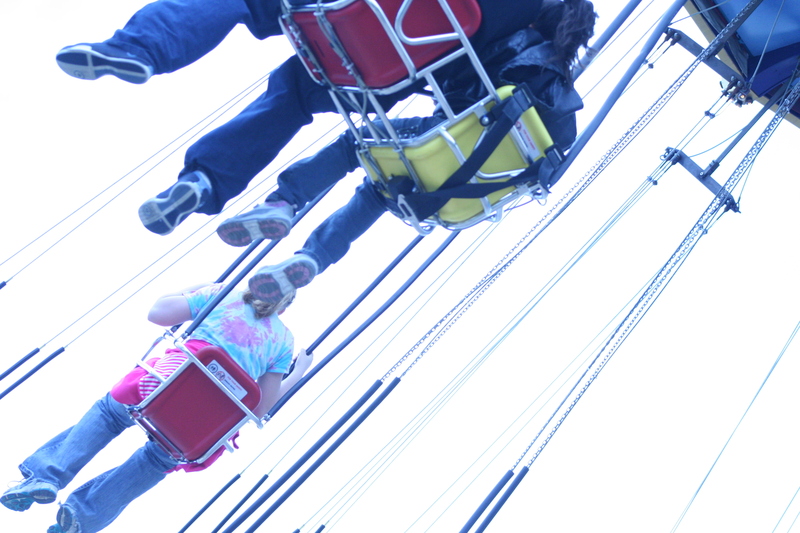 Loved this shot of Chris & the girls waiting for the swings. 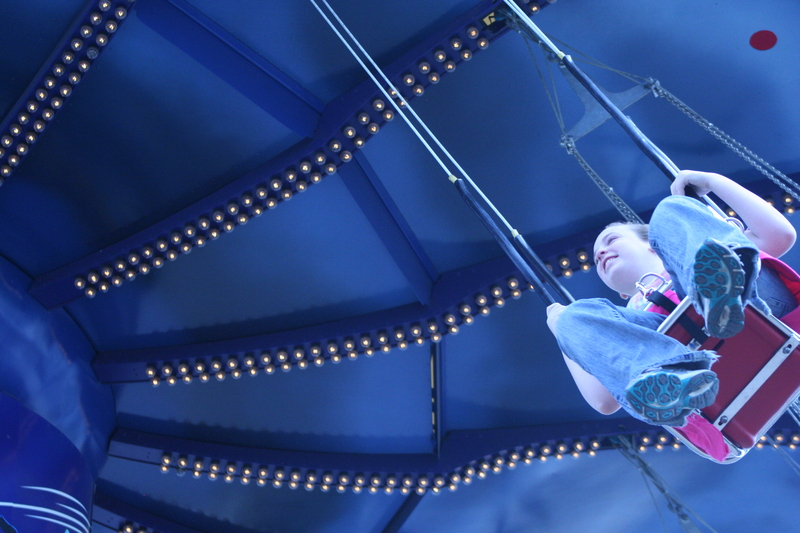 I also took a sequence of shots of Skylar swinging. This next shot is my favorite…LOVE the angle. I can already tell I’m going to want to enlarge this picture and add some text for our project life album. After many hours of fun we headed back to the hotel to rest. 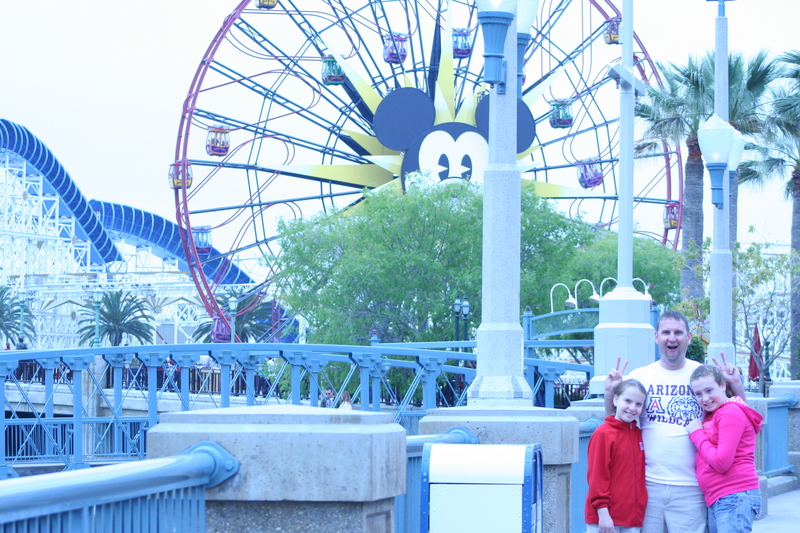 Skylar complained that her feet hurt pretty bad and she didn’t want to walk around the park again, so she and I went to see the movie John Carter at the theatre in Downtown Disney while Chris and Hailey went back and rode more rides in both California Adventure & Disneyland. Both girls enjoyed their 1 on 1 time with each of us. Today we will be riding the rides we have either missed or want to ride again. Can’t wait to share our adventures with you tomorrow! This entry was tagged Autism, California Adventure, Disneyland, special needs. Bookmark the permalink.